Official numbers say that the Japanese economy has been stagnated for a very long time. Prices in Japan, for instance, are remarkably stable. My favorite example is that along my more than 10 years in this country, public transportation in Tokyo has not changed their prices save for the sales tax increase in April of 2014. But, is that the whole story? 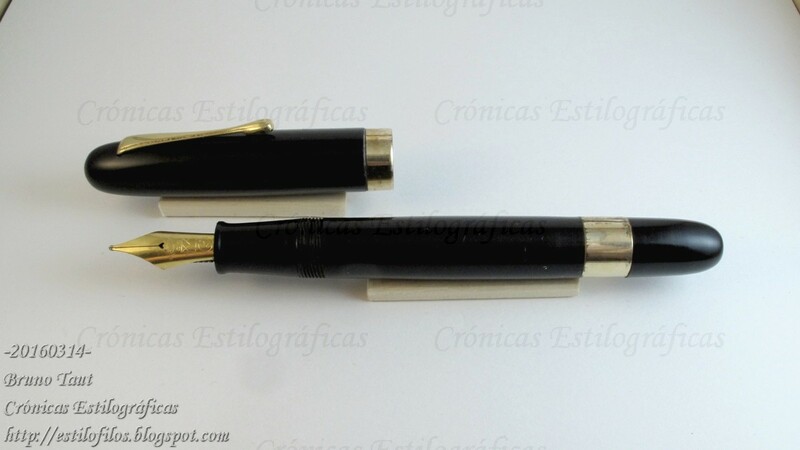 What about the fountain pen world? Japanese pen companies have kept prices of hardware (i. e. pens) very stable in the last, say, 20 years. If fact, the traditional way of increasing the prices is to phase out some model only to be replaced by a new one at a higher price. A variation of this is what Platinum is doing with the 3776 series, whose recent variations are significantly more expensive than the basic version for nothing else than a color change or a semi transparent body. 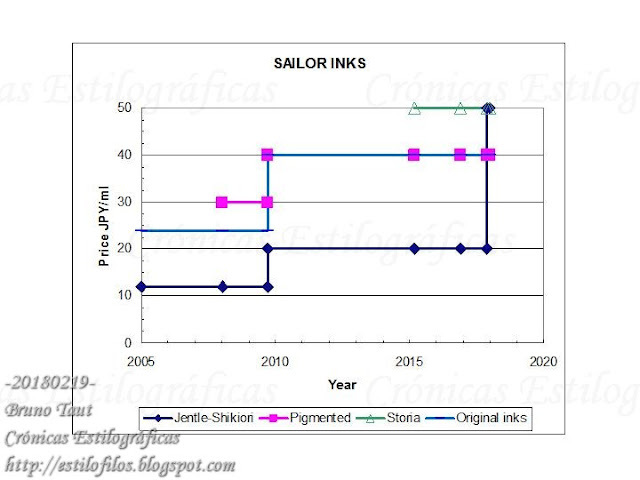 Evolution of the prices of Sailor inks in JPY/ml according to MSRP in Japan. "Pigmented" inks refers to Kiwaguro and Seiboku inks, and does not include the (also pigmented) Storia inks. The line labeled as "Original Inks" corresponds to the typical price of Sailor-made inks for some stationers in Japan, but not for all of them. And what about the other two main manufacturers? Platinum inks showed only one inflationary moment in January of 2014 when the basic line of inks (black, blue-black and red) went from JPY 13.3/ml to JPY 20/ml. 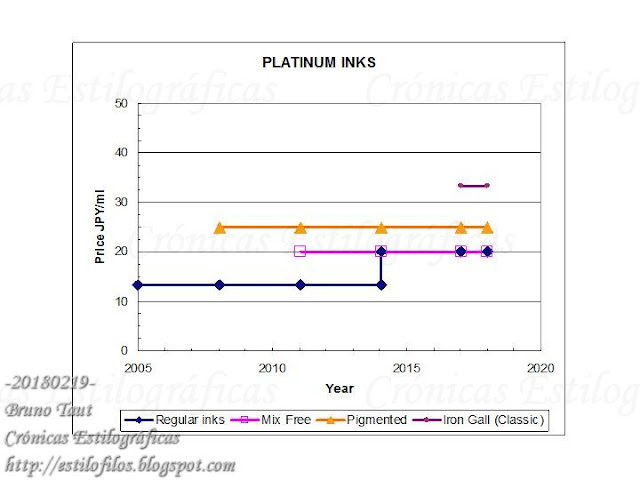 However, in the last 12 years, Platinum has created three new lines of inks –pigmented inks, Mix Free and Classic Inks— whose prices are much higher than the inks present at the time of their launching. 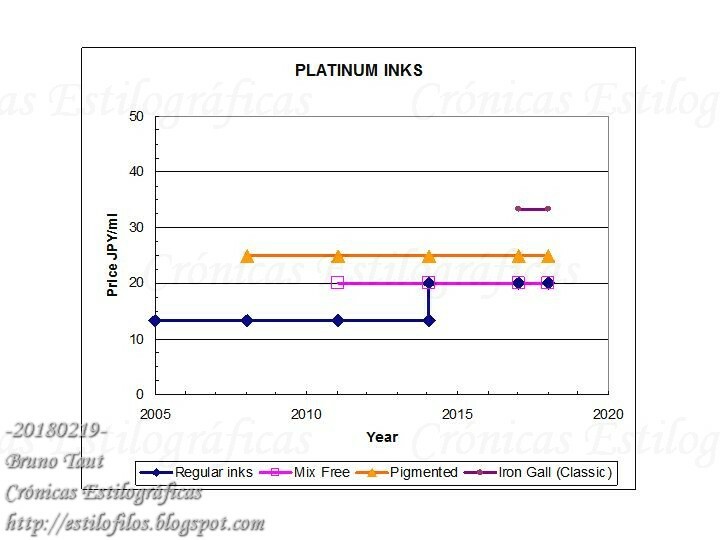 Evolution of the prices of Platinum inks in JPY/ml according to MSRP in Japan. Those inks labeled as "Iron Gall (Classic)" do not include the usual blue-black ink, which follows an iron-gall formulation. Something similar could be said about Pilot inks. In 2007, Pilot launched the Iroshizuku line with a price that was (and still is) more than twice that of the regular line (black, blue-black, blue and red). But at the same time, along these past 12 years, Pilot has not increased the price of any of their inks. 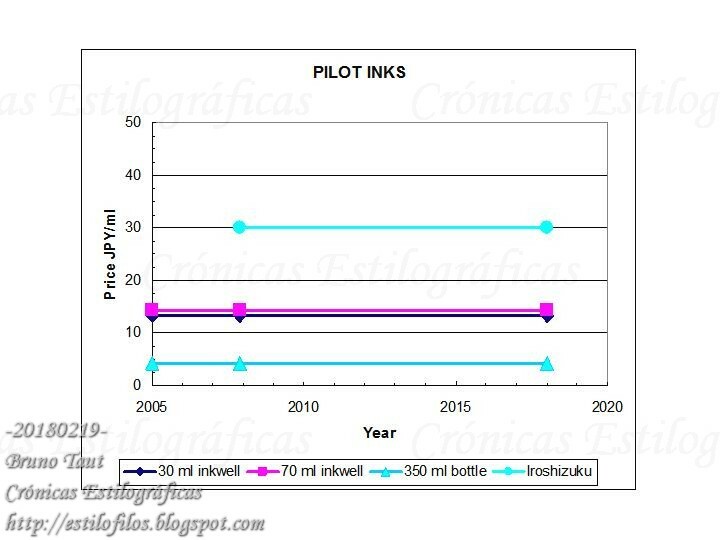 Evolution of the prices of Pilot inks in JPY/ml according to MSRP in Japan. The lines of 30, 70 and 350 ml correspond to the regular line of Pilot inks: black, blue-black, blue and red. Re Iroshizuku inks, there is another presentation of them (Iroshizuku Mini) for JPY 47/ml. It is difficult to judge which of these companies has higher prices in their inks. The answer depends on the use each of us might make of the different lines of inks or, alternatively, on the balanced average of the ink sales of each company. 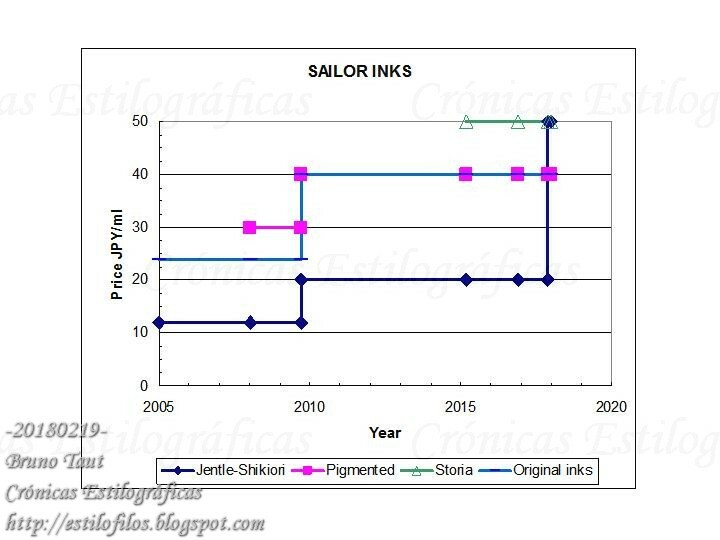 Nevertheless, it is hard to avoid the conclusion that Sailor inks are, as of now, the most expensive of the main Japanese companies. The latest move, rebranding Jentle inks as Shikiori increasing their princes 150%, is too blunt and very difficult to justify. NOTE: The prices mentioned on this text are those reflected on the catalogs of the companies (MSRP) in Japanese Yen (JPY), in Japan, before taxes. Sales tax in Japan are currently 8%, and were 5% before April of 2014.